Fast-growing Hungarian low-cost carrier (LCC) Wizz Air has announced seven new services from Kutaisi, Georgia, across Europe – and has also allocated another aircraft to its service offerings from Georgia’s second biggest city’s airport. Wizz started operations from Kutaisi International Airport (KUT) in 2012 and now, after six years of operations, the airline has introduced seven new routes from Kutaisi to Paris, Prague, Athens, Barcelona, Rome, Bucharest and Vienna. The LCC, which is looking to diversify its route network from Kutaisi, by offering 21 destinations in 14 countries, opened its Kutaisi base in September 2016, placing its first Airbus A320 there. The airline is stepping up its investment in its Kutaisi base by allocating a second Airbus A320 there from mid-May, in a further cost commitment which the Hungarian company estimates at US$101 million, especially with the required employment of 36 additional local crew members. In the first three months of 2018, 51 per cent more passengers travelled with Wizz Air on Georgia routes compared with the same period last year. The biggest central and eastern European low-cost carrier now offers more than 720,000 seats from Georgia, a 94 per cent increase year-on-year. “We are delighted to announce our new Wizz routes from Kutaisi, as we continue to create ever more travel opportunities for our passengers,” enthuses Johan Eidhagen, the airline’s chief marketing officer. “Emphasising our commitment to Kutaisi and Georgia, we are allocating another Airbus A320 aircraft to Kutaisi International Airport. We are now offering 21 routes to 14 countries from Kutaisi,” he adds. 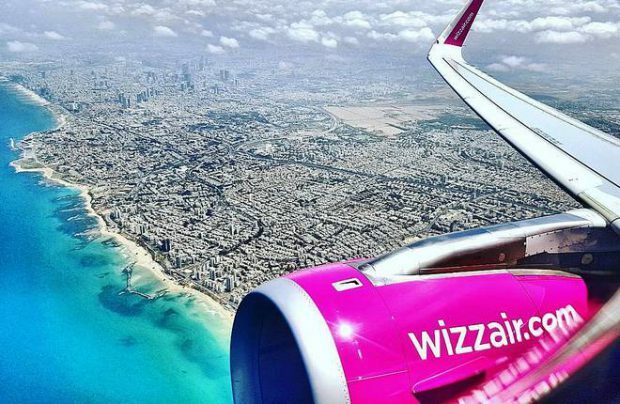 Earlier this month Wizz announced another expansion in Ukraine, its biggest CIS market, with the launch from October of three new daily services from Kyiv, placing a third Airbus A320 at the capital’s airport whilst also re-opening flights from and to Lviv, another key Ukrainian city.